Karen Stiwinter has over 22 years of income tax experience and fully capable of managing your personal and business finances. She was an Accounting & Income Tax Instructor at Southwestern Community College for several years, and is comfortable explaining this daunting process to even the most novice of individuals. Karen thoroughly enjoys getting involved in her community and has been an active member of several established organizations within the state of North Carolina. She is the acting President of the Macon County Community Foundation and has been since 2008. Even before taking over the position of President, Karen served at the Secretary/Treasurer from 2001 to 2007. On top of the Community Foundation, she is also the Vice President of the North Carolina Chapter of NATP Board since 2008 and was the acting Treasurer 2005-2008. 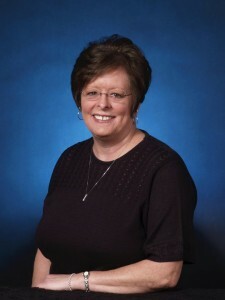 Previously, Karen served as the President of the Macon County Community Development Council 2001-2006. Karen has a Bachelor’s of Science in Business Administration with a Concentration in Accounting and Finance from Western Carolina University. Karen and her husband are proud to call Macon County home, and are honored to serve their friends and neighbor’s in Franklin, NC.